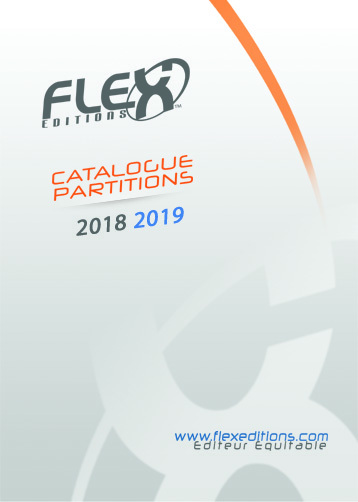 Sorted by Instrument, you’ll get a quick and whole view of >3300 Compositions, Arrangements and Methods published in exclusivity by FLEX Editions. For a better read-ability, we highlighted in orange our new publications. You can print it and share it within your organization. You can also, using the downloaded file, listen to each Piece by clicking on the Titles. Our catalogue content is defined in cooperation with a teaching team, and your suggestions are very welcome! Please contact us! (contact@flexeditions.com). We remind you that all Pieces listed in this catalogue can be downloaded immediately after listening, at a reduced price compared with traditional distribution/sale methods. Please compare!